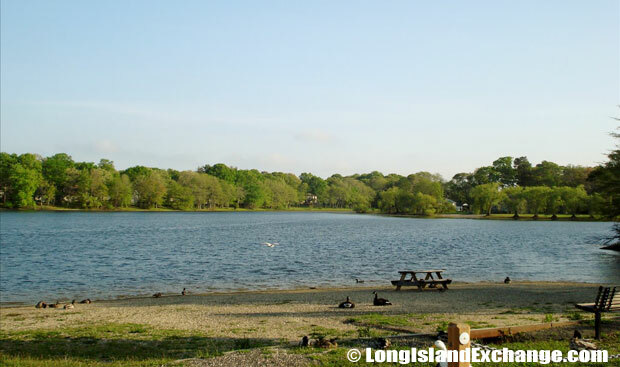 Middle Island is a hamlet and census-designated place located in Suffolk County, Long Island, New York. As of the 2010 census, there were 10,483 people (+8%), 10,162 households and 2,712 families residing in the CDP. The median income for a household in the CDP was $68,556 and the median income for a family was $80,181. Males had a median income of $57,532 and $44,369 for females. The latitude of Middle Island is 40.884N. The longitude is -72.937W. It is in the Eastern Standard time zone. Elevation is 82 feet. The former and merged names include Brookhaven and Middletown. A sign welcomes visitors and residents to Middle Island. Artist Lake in Middle Island, New York south of Middle Country Road. 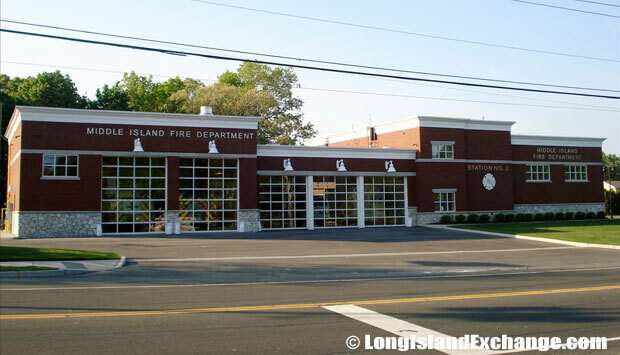 The Middle Island Fire District Office. 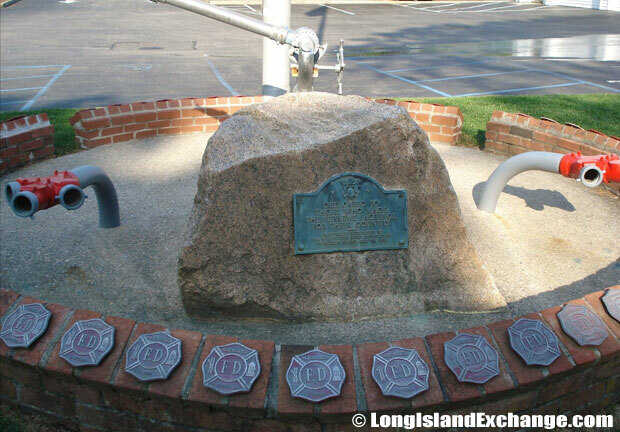 The Middle Island Fire Department. 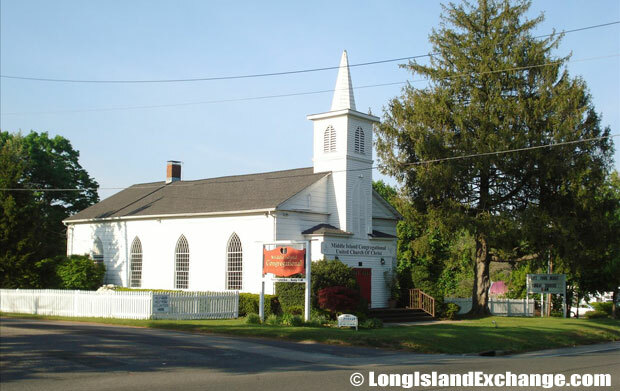 The hamlet history goes back to 1766, when the first Presbyterian Church was built, with Rev. David Rose as pastor. He was also used as a pastor in the South Haven church, and was an interesting figure as he covered his immense parish on horseback. His saddle bags were filled with Bibles and medicines, as he was the towns only doctor. The Middle Island United Church of Christ Landmark Church Built in 1827. 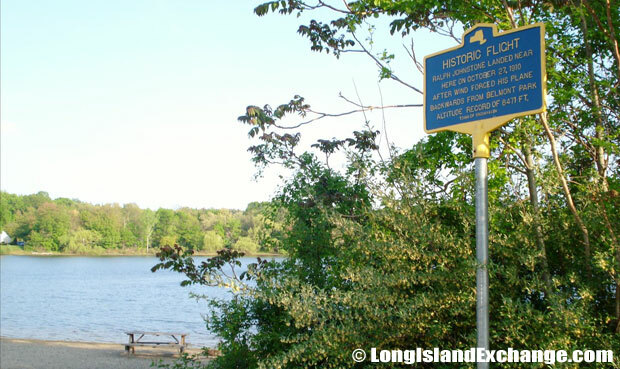 The historical marker commemorating Ralph Greenley Johnstone’s historic flight at Artist Lake in Middle Island. In 1837, the present church was built just to the rear of the other one, and served the community for 200 years until the new Christian Education building was built at Longwood in 1966. The old church is the home of the Middle Island Christian Fellowship. The first schoolhouse, built in 1813, stood just east of the church. Across the road from the church is the cemetery opened in 1766 and incorporated in 1869. In 1960, it was renamed the Union Cemetery Association of Middle Island. Its oldest stone is that of Daniel Brewster who died in 1748. Today, Middle Island is built up with homes, churches, co-op apartment complexes, condominiums, car dealerships, discount stores, and small businesses. Memorial plaques dedicated to those who served. Spring Lake Golf Course, a 27-hole golf and catering facility located in Middle Island. 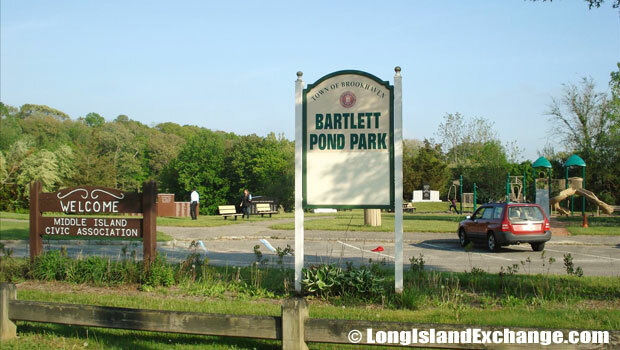 Bartlett Pond Park, a small park within the community. The Cathedral Pines County Park is a famous park in Middle Island that is formerly a Boy Scout Camp. The 320 acre site is situated along the headwaters of the Carmans River. Facilities include campsites for individuals, youth group camping and club camping (10 or more units) and family camping which includes 10 sites with water and electric hookups. Picnic sites and the George Broome Memorial Activity Building are also available. In the eastern section of this park is Prosser’s Pines, the largest stand of pine trees on Long Island, which was planted by William Dayton during the 19th Century. 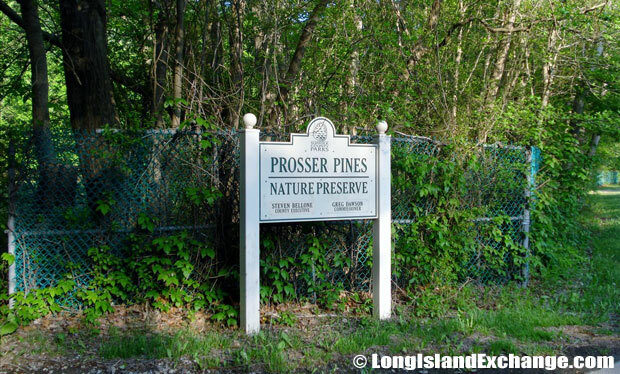 Prosser Pines County Nature Preserve, said to be one of the most impressive places on Long Island to experience evergreens planted in 1812 on what was then, farmland. 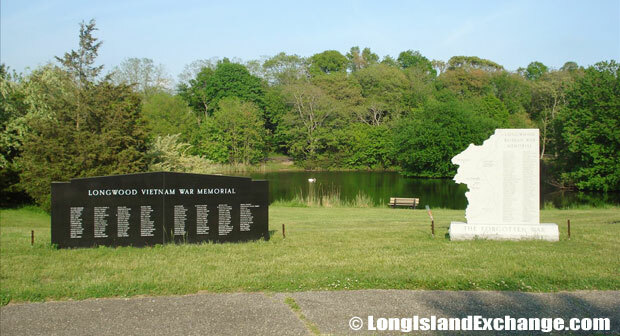 The Vietnam Memorial at Bartlett Pond Park. The 1790 Dayton house is also on the property. Majority of ancestry groups living in Middle Island are Italian that comprises 25% of the total residents and followed by Irish with only 18%. The hamlet is also surrounded by three public golf courses such as Middle Island Country Club, Spring Lake Golf Club, and Mill Pond Golf Club. 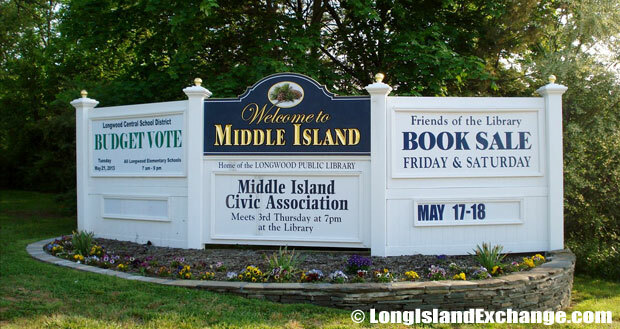 Middle Island is under by Longwood Central School District which is known as the biggest school district on Long Island. 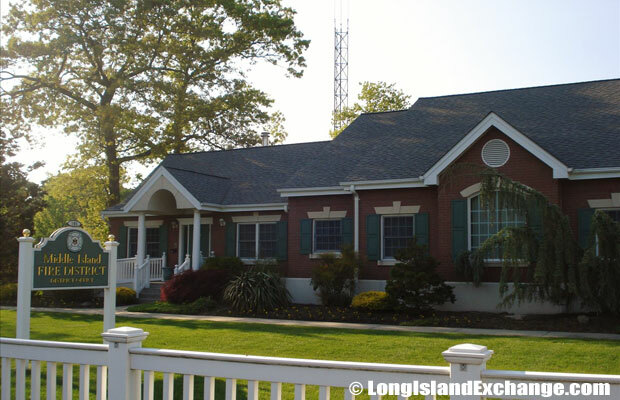 The Longwood Public Library is also located in Middle Island.